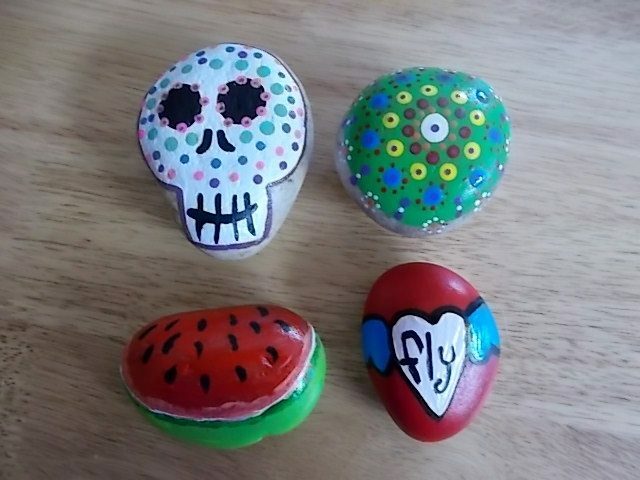 For a few months now, I have been painting rocks and leaving them around Englewood, Florida for people to find. This activity started a few years ago in a coastal New England town by a lady who had lost both her parents at a young age. 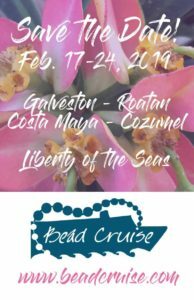 When she would walk along the beach, she would look for special things that made her feel like her parents were near – like sea glass or a special shell. 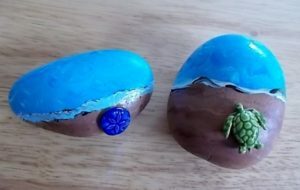 This special lady got the idea that she should paint rocks and leave them places so other people would know they were blessed with kindness as well. This is how the Kindness Rock Project was born! Now with the reach Facebook has all over the globe, this pay it forward activity is really catching on! I joined my hometown group called “Englewood Rocks” and the place where I visit regularly “Key West Rocks”. Type in the Facebook search bar the name of your town with the word rocks after it, and you may just have a group of your own to join! 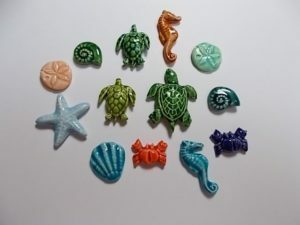 I am a ceramic bead artist, so I have made some sea life cabochons to attach to my painted beach rocks. 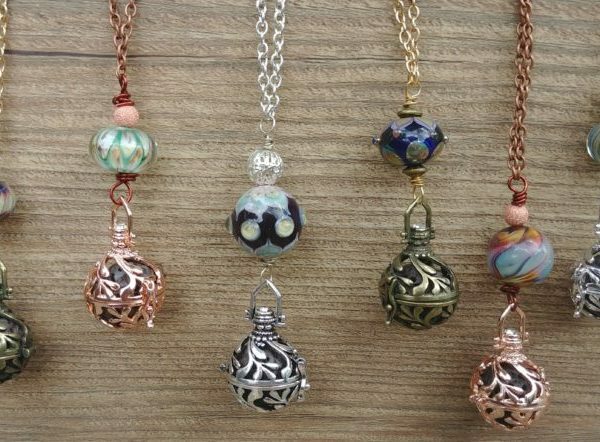 This is how I have combined my beads with the project. Here is another batch that has been painted and hid around Englewood. I have been lucky that more than half have been posted on Facebook as found. Even though all have been found, not everyone posts a picture. 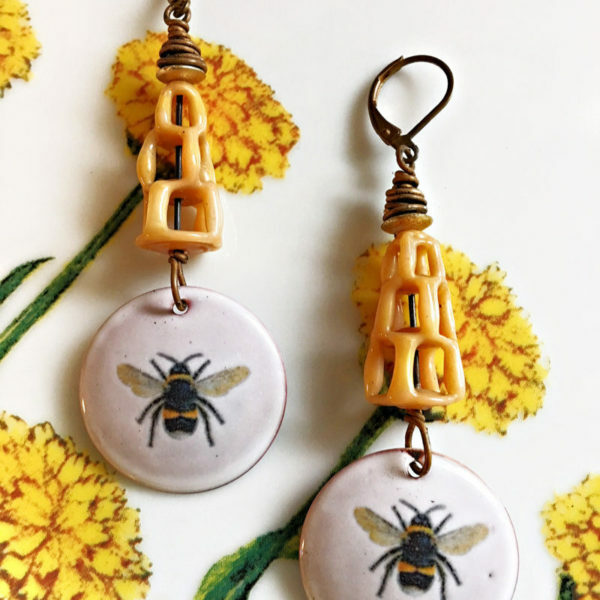 So how can I incorporate my new hobby into jewelry making and beads even more? Two ways I have come up with so far. 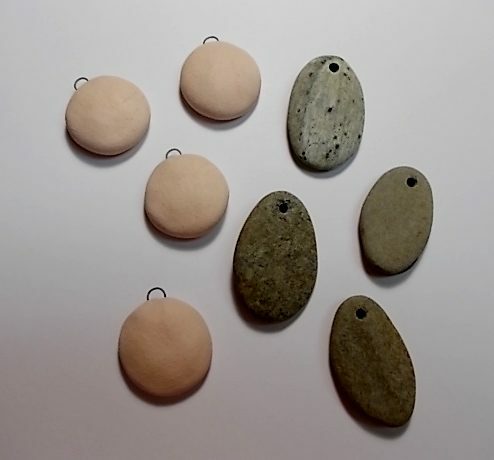 One is to make a flat back pendant curved to resemble the surface of a rock. 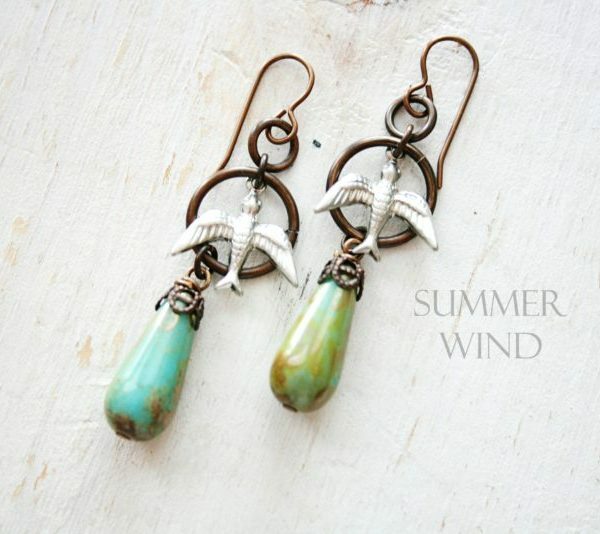 I will use ceramic paint instead of acrylic paint to make these. And the second way is I purchased rock pendants from Etsy. How cool is that? 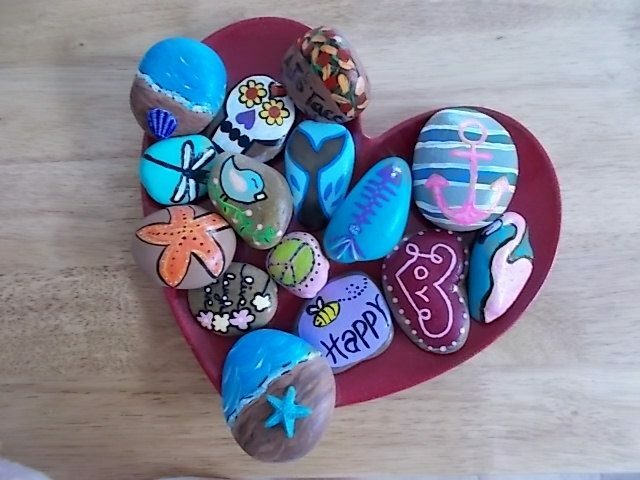 I have started a Pinterest board where I keep painted rock ideas which is really fun and helpful. 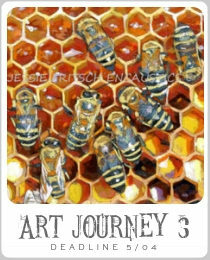 I encourage you to give this a try – it’s fun and rewarding! You can find your rocks or buy them from a home improvement store. Wash them and let dry. Paint the back white with acrylic paint and write what you like on the back with a Sharpie marker. When dry, use a spray sealer – I like shiny, of course! Let sit for a few hours, but overnight is best. On the front is the same process. Here are the last 4 I finished yesterday. These will be traveling a bit farther this weekend as I am going to Orlando to visit my step son and will hide these around in my travels. One of my stones actually has made it out to Washington State from Florida. 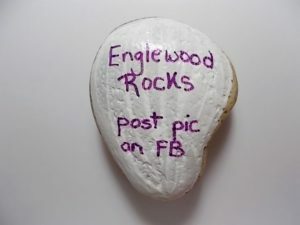 What a thrill when that person posted its location in the Englewood Rocks Facebook group! This is such a fun idea!! I want to try this in my town at the beach!! It’s so much fun and rewarding, too! Great project. 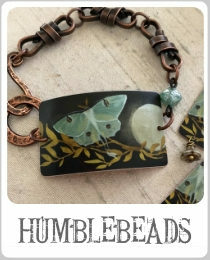 Where on Etsy did you find your stone pendants?